Over his long career, Winfrey has maintained a broad litigation practice, with special emphasis on commercial matters and the defense of corporations in a variety of liability actions. Winfrey’s commercial litigation experience includes the handling of complex civil RICO claims, the defense of multi-million dollar condemnation actions, and the representation of corporations in a myriad of contract and business disputes. He has practiced extensively in the area of mineral law, including serving as regional counsel for one of the largest coal mining companies in the world. Winfrey has also defended products liability actions on behalf of a variety of corporations, including automobile and pharmaceutical manufacturers. In addition, Winfrey has served as national counsel for a corporate manufacturer, managing the defense of product liability claims in multiple jurisdictions. Finally, Winfrey has defended hospitals and physicians in malpractice actions and served as defense and coverage counsel for numerous insurance carriers. Winfrey’s trial experience is extensive and includes the successful defense of both corporations and individuals in personal injury claims, wrongful death actions, and commercial disputes. 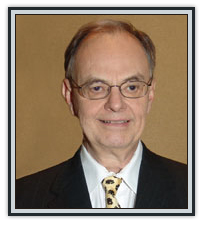 He has represented clients in numerous state and federal courts and before various administrative agencies.